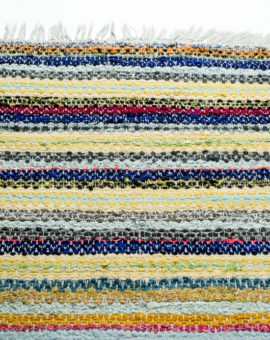 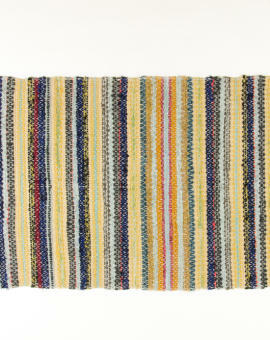 A rug in wool. 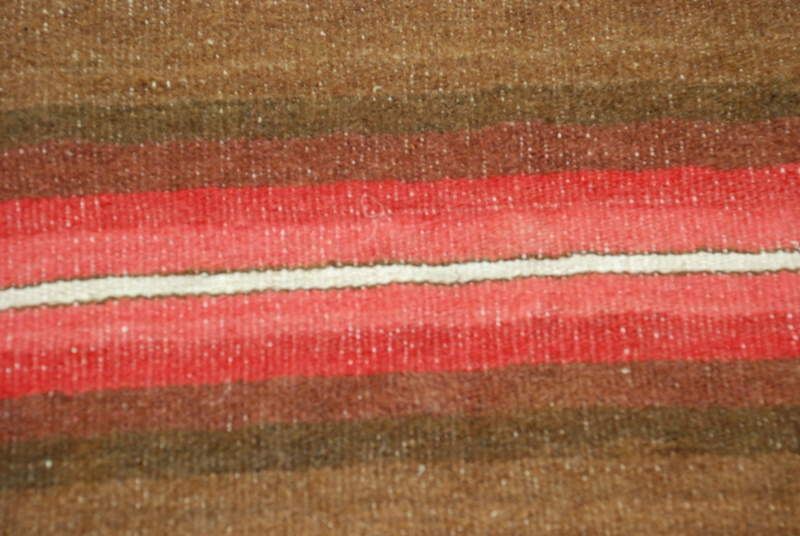 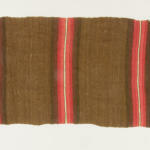 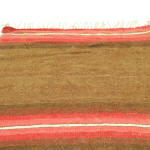 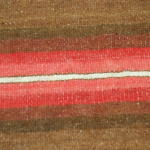 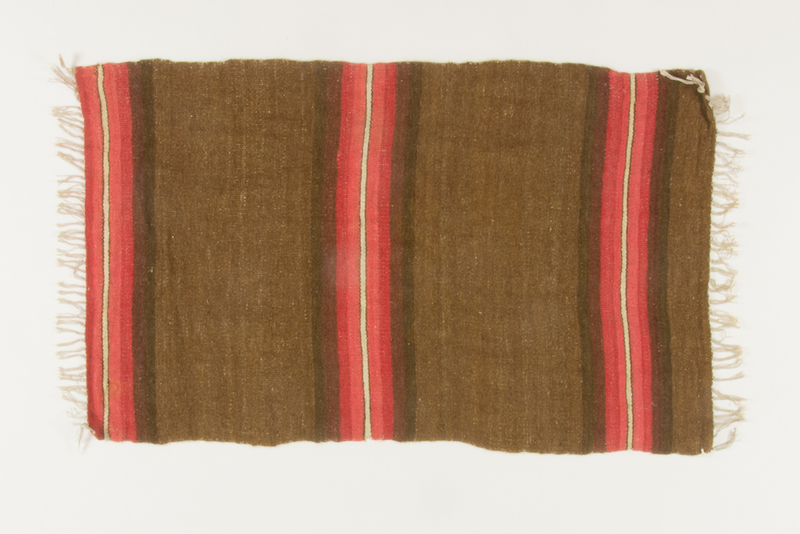 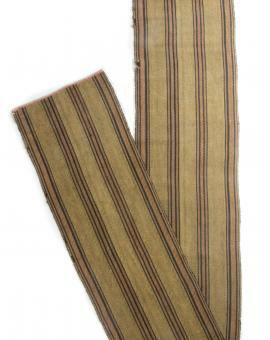 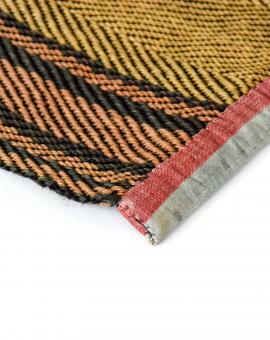 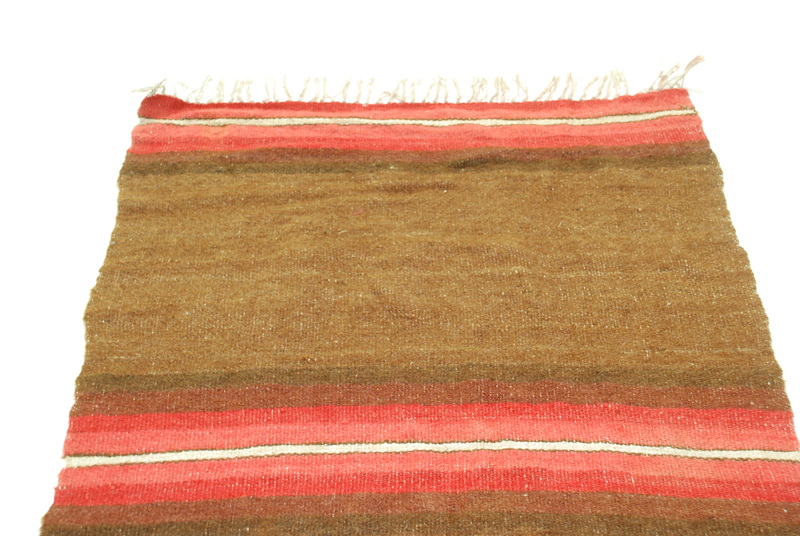 Warm brown shades with red stripes. 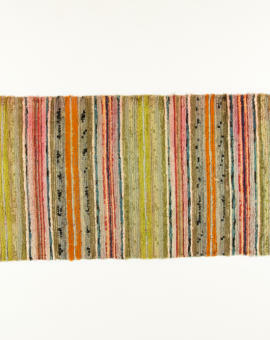 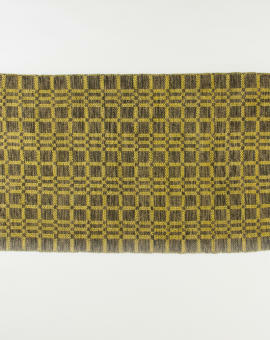 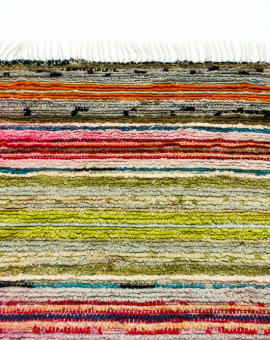 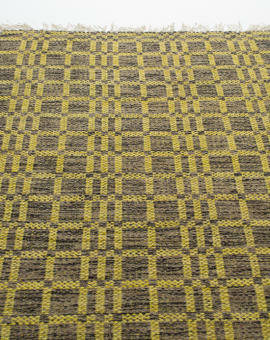 Rug Size: 113x68 cm (L x W).